celebrate St. Patrick’s Day. 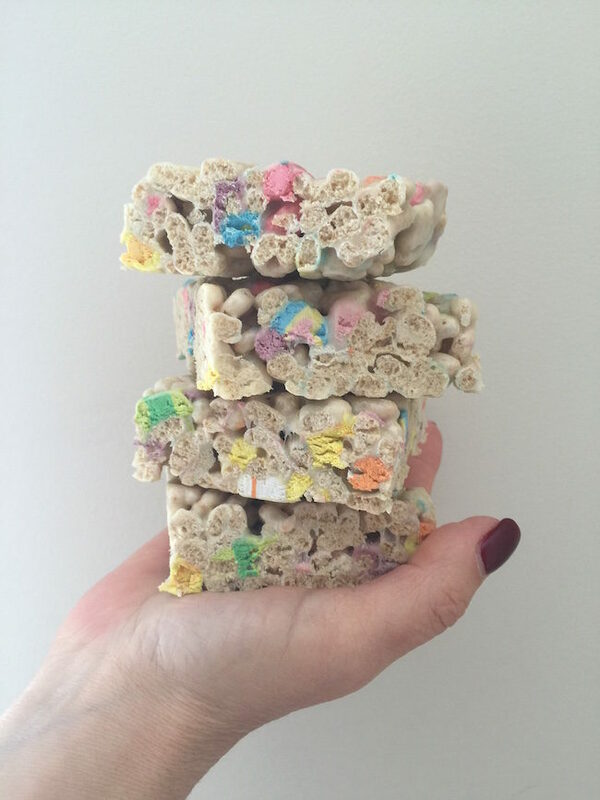 This recipe is a take on the traditional Rice Krispies Treats. Remove from heat. 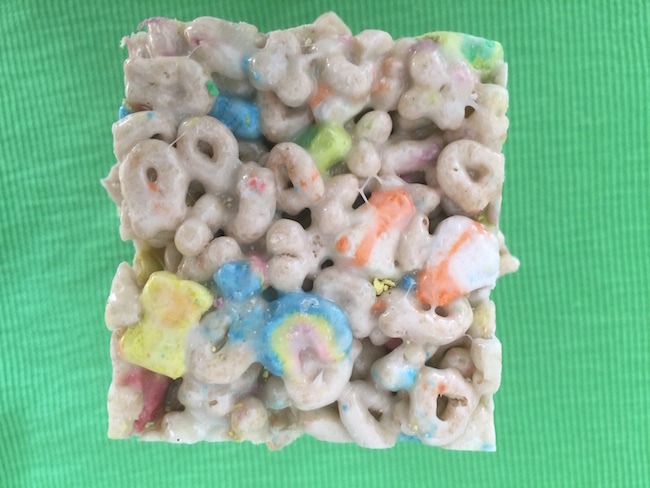 Add Lucky Charms Cereal. Stir until well coated. 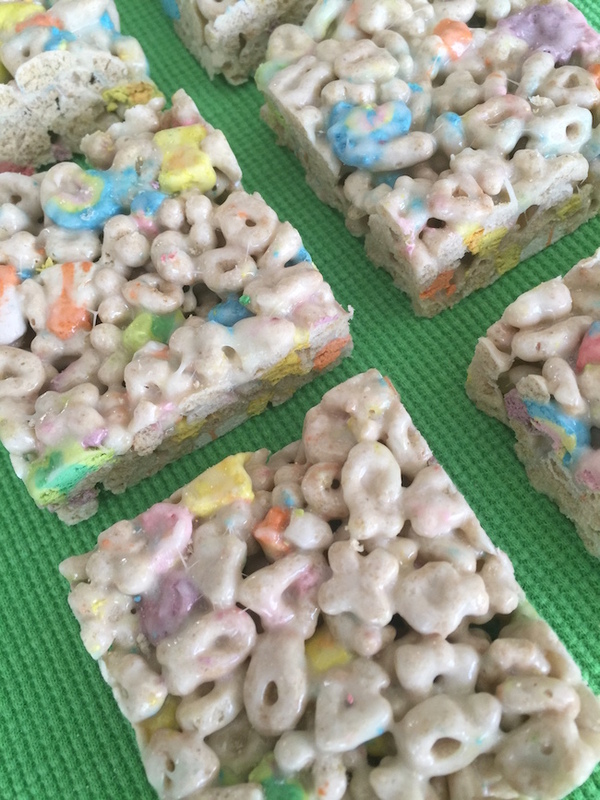 Cut into 2-inch squares. Best if served the same day. mitzvahs. Vicki can be reached at www.plan-itvicki.com or by email at: events@plan-itvicki.com. 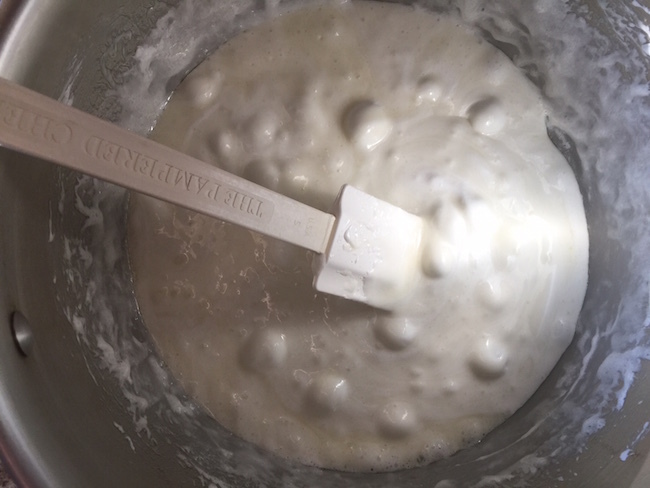 In large saucepan melt butter over low heat. 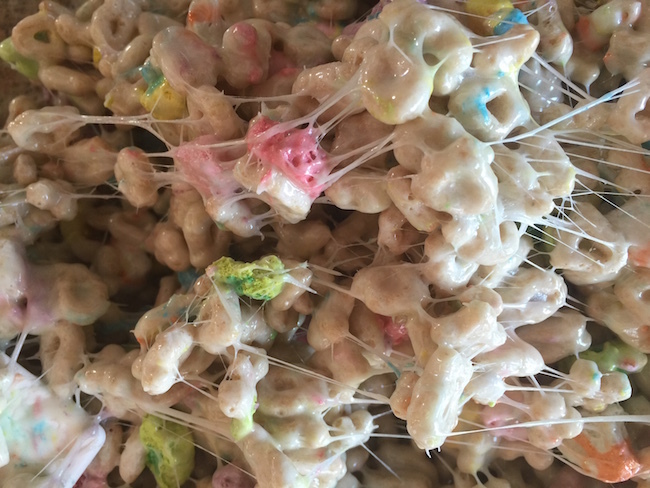 Add marshmallows and stir until completely melted. Remove from heat. 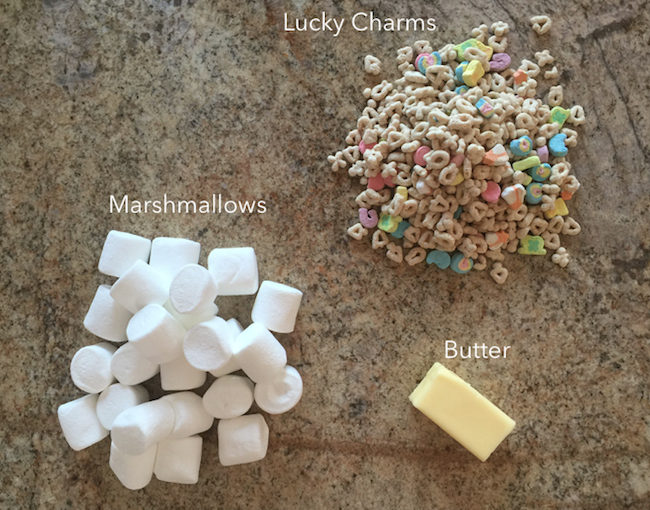 Add Lucky Charms Cereal. Stir until well coated. Pour into 13 x 9 x 2-inch pan coated with cooking spray. 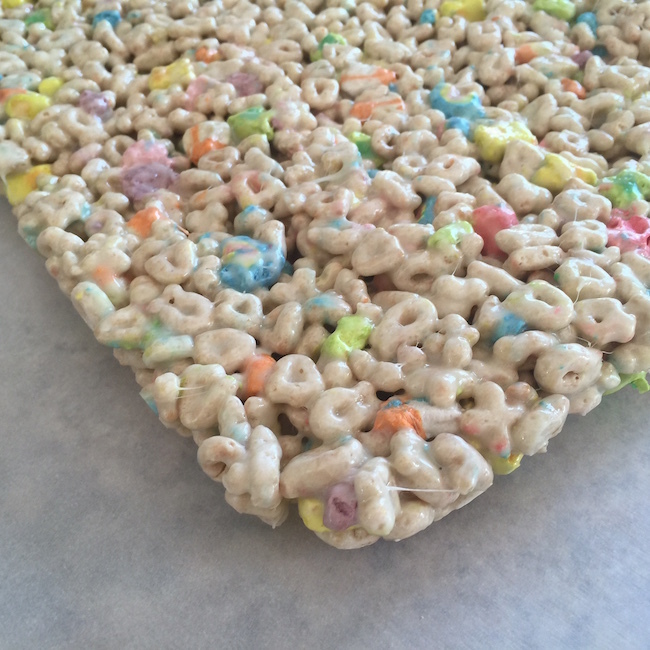 Press mixture into pan using parchment or wax paper. Cool. 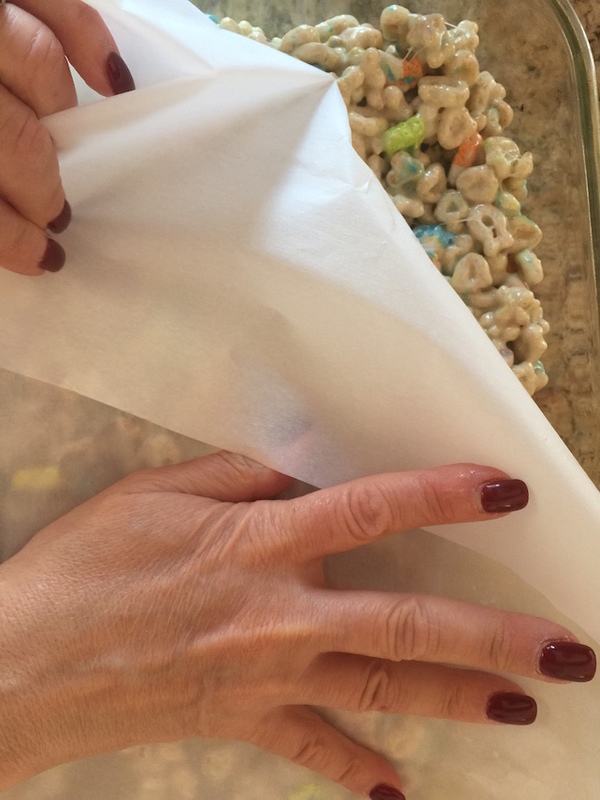 Remove from pan and place on parchment or wax paper. 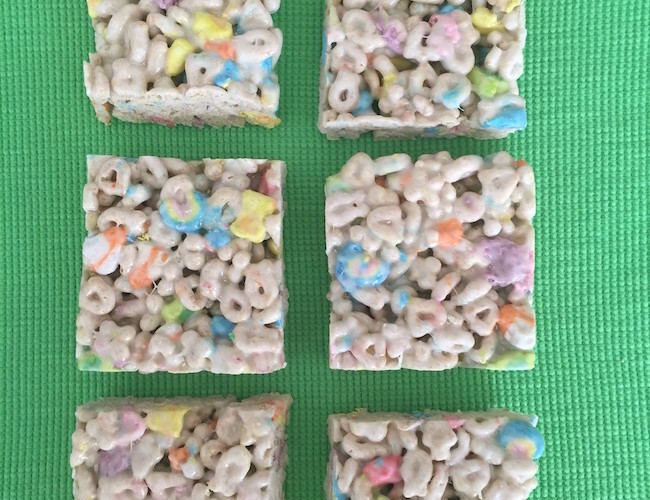 Cut into 2-inch squares. Best if served the same day. Store no more than two days at room temperature in airtight container. To freeze, place in layers separated by wax paper in airtight container. Freeze for up to 6 weeks. Let stand at room temperature for 15 minutes before serving.